We have been so lucky to have enjoyed beautiful, sunny days and mild temperatures for the last two Saturday markets. Two weeks ago everyone who attended was treated to tasty barbecued local corn cooked by a few of our Town Councillors, John Abel and his wife, Tracy, and Harold Kim. They were assisted by a great friend of the market, Diane Buchanan. For the first time a dunk tank added to the fun and both Councillors were great sports in allowing themselves to be dunked for charity. All together, we raised about $360 for the Aurora Food Pantry. Thank you all. This past Saturday began as a cool morning but gradually warmed and became a truly beautiful day. The increasing warmth brought out the customers and it became very busy with some vendors running out of items. Once September begins and families return from holiday and the kids prepare for school and university, we usually are extremely busy so plan your Saturdays with an early stop at the market so you won’t be disappointed. The next market on Sept.2nd will see Welcoming Arms returning to the market to sell Event and Raffle Tickets for this year’s Magna Hoedown. Welcoming Arms is a non profit charitable organization whose primary objective is to relieve poverty and assist those in Aurora who are in the low income category. They were founded by 6 churches in Aurora to pool their resources to better meet the needs of our low income residents. It has expanded greatly since its inception. Welcoming Arms now supports low income/ marginalized members of the community through several benevolent programs. People are fed at two community meal programs- Welcome Table, a dinner on Wednesday evenings at Trinity Church and Martha’s Table, a soup and sandwich lunch on Thursdays at St. Andrew’s Presbyterian Church. These meals provide nutritious food and a safe place to connect with others in our community. There is food and transit support through the Bridging the Gap program. Many families rely on the Christmas assistance program. Other help comes in the form of free Income Tax preparation, a Community Garden and other money management programs. These programs support hundreds of people in the community. Guests who come for the meals are connected to community referrals. This amazing charity is supported by over 150 committed volunteers who cook and serve meals, pick up the weekly donations of bread for the diners, interview and support those applying for assistance and provide ongoing programming support. Welcoming Arms is dependent on community donations to sustain its many programs. This year it has had the good fortune to be selected as one of the 20 community organizations to share in the proceeds of this year’s Wild, Wild West Hoedown hosted by Magna International. The funds received from participating in Hoedown constitute a large portion of Welcoming Arms’ annual fundraising budget. 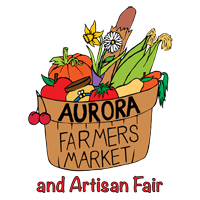 Please look for them to be back at the Farmers’ Market, in the park, on September 2nd and visit the booth to get your Raffle tickets. Our next Special Event at the Farmers’ Market will occur on September 30th when we celebrate Culture Days with our annual Soup Fest. We are currently working on our plans for that day.